Wow! This brought back memories. 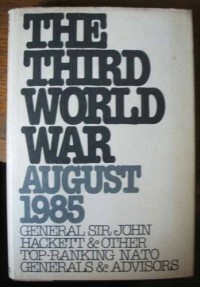 I was just at a library book sale (1-Nov-08), saw a copy on the table and remembered reading this around 1981-82 (when the "intelligence community" still thought the Soviets could have mounted a worldwide war). A bit too "right wing" for me now but a plausible enough scenario, I suppose, if the Pentagon's fantasy had any basis in reality.